Reports about the potential benefits of CBD Oil Vape Juice have frequently made the news lately. Consumers have credited this potent, natural oil with relief from pain, anxiety, and many other disorders. More recently, researchers have conducted scientific studies to support these claims. 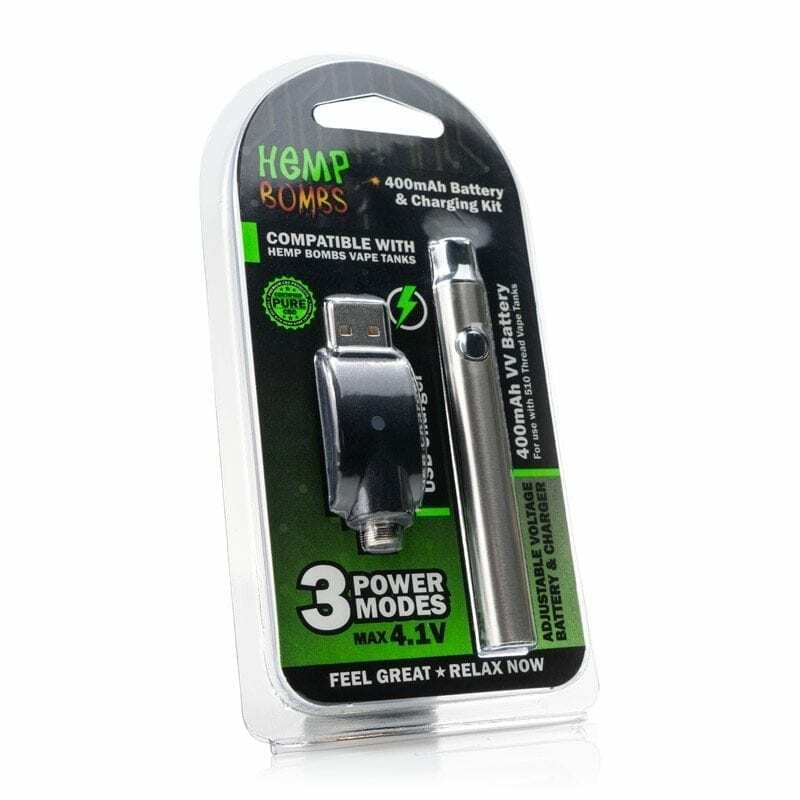 Anybody who wants relief from mild or severe health problems should take a moment to learn more about the benefits of high-quality CBD Oil for vaping. Both CBD and THC are examples of the cannabinoids that are found in Cannabis. THC can produce a "high" and is associated with Marijuana; CBD Oil is not psychoactive, so it doesn't produce the euphoria that THC does. 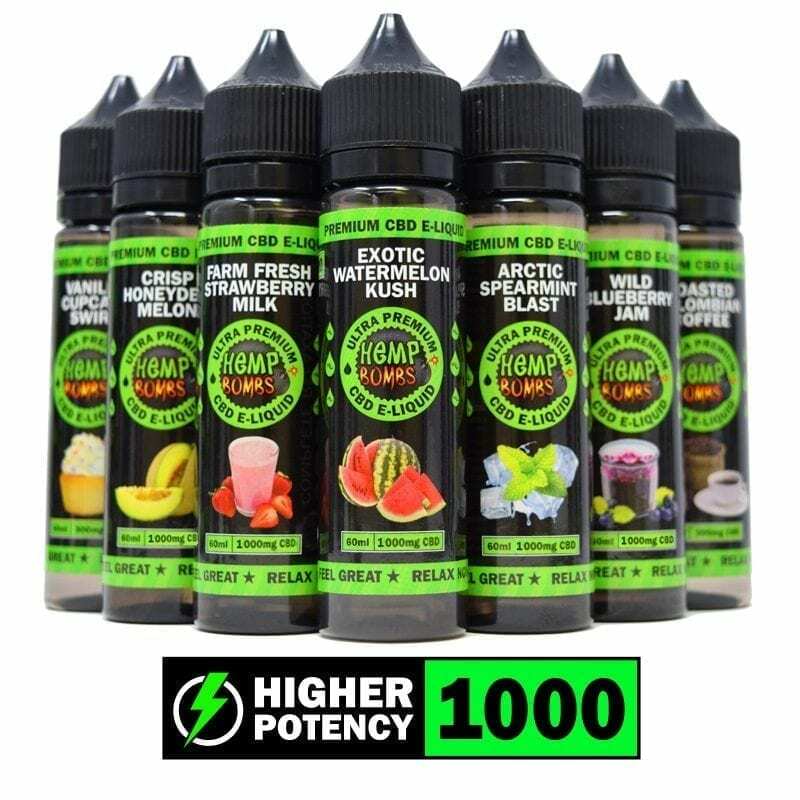 Hemp Bombs produces CBD Oil Vape Juice by extracting CBD from organic Hemp. This makes it the perfect choice for those who want to enjoy relief without an altered state of mind. Even the U.S. National Institute of Health's Cancer Institute has highlighted the benefits of CBD Oil for health. They also note that the FDA has approved Cannabis to treat cancer and other health issues. Cannabinoids refer to certain chemical components that can activate receptors with the central nervous system and immune system. In turn, this activation signals the body to produce natural substances with pharmacologic effects. Very often, cannabinoids appear to work as well as prescriptions but without serious side effects. Doctors have studied the beneficial effects with laboratory, animal, and human testing. Let’s discuss some of the most useful and common examples of the ways that CBD Oil Vape Juice might relieve medical issues. Historians know that people have been using Cannabis for at least five millennia. Archeologists have found evidence that ancient cultures used it for pain relief, and not just recreation, over 2,000 years ago. According to the National Library of Medicine, using Cannabis for pain relief was mentioned in American pharmacology books as early as 1850. More recent studies have explored the ways that CBD can help reduce pain from such conditions as arthritis, surgery and multiple sclerosis. CBD Oil Vape Juice works by binding to receptors for neurotransmitters in the brain and nervous system. This blocks pain signals and stimulates the production of natural pain relievers. Such mood disorders as anxiety and depression can greatly reduce the quality of life for people who suffer from them. In fact, the World Health Organization found that depression was the most common cause of disability on the planet. Anxiety ranked sixth. Common medications may help, but they're also associated with serious side effects. Some of these include fatigue, headaches, and even more agitation. Perhaps even worse, medications like benzodiazepines are now thought to be responsible for a new wave of dangerous addictions and overdoses. 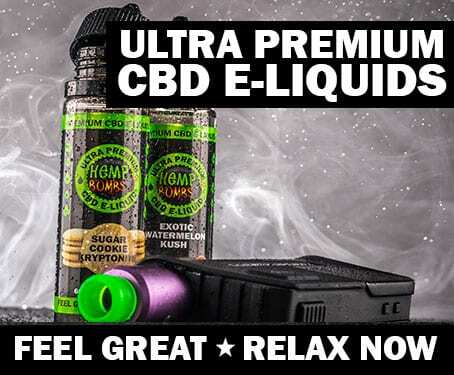 Products like CBD Oil Vape Juice have been tested to relieve symptoms of anxiety and depression without serious side effects or the risk of addiction. Tests of people with anxiety disorders found that the ones who took CBD suffered less anxiety, cognitive impairment, or other discomfort than those in the control group with a placebo. CBD Oil has even been used as a remedy for children with sleep and anxiety disorders. It works by affecting the brain's serotonin receptors to improve mood. According to the American Heart Association, high blood pressure damages the circulatory system over time. Left uncontrolled, it can lead to heart attacks, strokes, kidney disease, and other serious illnesses. A recent study found that CBD not only reduced resting blood pressure, it also minimized the elevation of blood pressure during a stress test. In addition, tests on animals showed that CBD may help reduce cell death and inflammation from heart disease. For instance, a study found that this remedy helped reduce tissue damage for mice with heart disease and diabetes. The doctors believe that the stress-reducing and antioxidant properties of substances within CBD provide these benefits. Of course, stories abound about other potential health benefits of CBD. It's just that most of these benefits have not yet been rigorously explored with scientific research. Still, anybody who suffers from one of these health issues may want to try a product like CBD Oil Vape Juice to find out if it will offer them relief. Antipsychotic: In some cases, CBD may help reduce psychotic episodes. Substance abuse: Substances in CBD can impact brain receptors and help reduce cravings for addictive drugs. Diabetes: Lab tests on mice with CBD reduced the rate of diabetes by over half while minimizing inflammation. Skin conditions: The anti-inflammatory properties of CBD may help clear up acne and other skin conditions. Is CBD Oil Vape Juice Legal in the United States? These days, most people have learned that they need to take control over their own health. At the same time, a few folks have expressed concerns over the legality of having CBD Oil shipped to their address. A lot of states have made Marijuana legal for medicinal or recreational use. Some states have not, and it's still a sticky issue with the federal government. Still, CBD Oil Vape Juice is not at all the same thing as Marijuana so the same laws won't apply. The psychoactive substance that gets people high in Marijuana is called THC. Third-party lab tests certify that Hemp Bombs CBD Oil Vape Juice contain zero percent THC and 100 percent high-quality CBD Oil. It is federally legal in the United States. Even when people aren't concerned about legality, they might worry about failing a drug test from their employer. According to a major testing lab, these tests check for THC. Since CBD Oil Vape Juice has zero percent THC, it won't cause a false positive on a drug test. 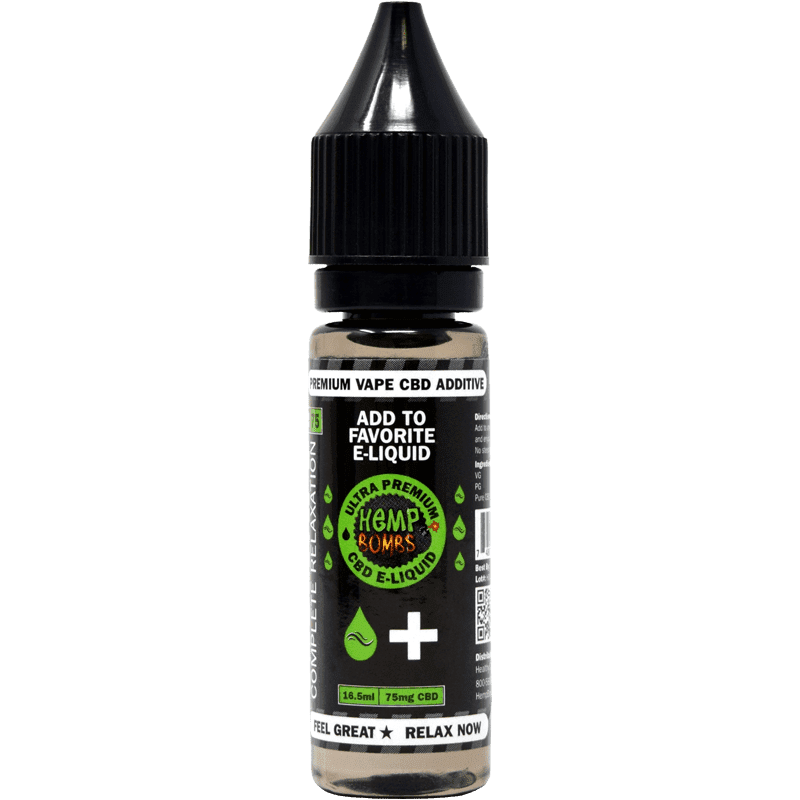 Should I Choose CBD Oil Vape Juice as a Healthy Remedy? Dr. Josh Kaplan is a Cannabis expert and neuroscientist. According to Dr. Kaplan, some ways to consume CBD Oil include taking it sublingually or ingesting it. He says that the best method to ingest this remedy may depend upon preferences and goals. That's because the way people consume it can impact its speed and even the dose that they get. Other methods of ingestion include applying it topically or inhaling the supplement. Doctors speculate that CBD gets absorbed at a greater amount through inhaling than by ingesting CBD or using it topically. Vaping sends the active ingredients in CBD Oil Vape Juice right to the bloodstream. This means that users can enjoy almost instant results. Instead of having to pass through the digestive system or slowly get absorbed in other ways, it passes directly into the lungs and then the bloodstream. The only alternative for inhaling to vaping would be smoking. People who are managing health issues or want to maintain their health would usually rather not smoke. This makes vaping CBD Oil Vape Juice a clear winner for people who want to enjoy a fast-acting, effective remedy. Since vaping does not produce nicotine smoke, it also doesn't produce second-hand smoke risks or unpleasant odors when used indoors or in crowded areas. The process begins by sourcing high-quality help from eco-conscious, sustainable farms. After procuring hemp, they use a precise extraction process to produce pure CBD Oil. Third-party labs certify this product as being completely free of THC. CBD Oil Vape Juice doesn't get people high because it doesn't contain the psychoactive ingredients associated with Marijuana. There's no reason to fear a loss of productivity or random drug test. At the same time, it does contain CBD, which has been associated with pain relief, better sleep, lower anxiety, reduced inflammation, and many other health benefits. Hemp Bombs also publishes the results of our third-party lab tests for complete transparency. The best way to find out if CBD Oil works is to try it. Hemp Bombs offers CBD Oil Vape Juice in several different forms at very competitive prices. For instance, we sell both convenient tank cartridges and bottled Vape Juice. Customers can choose an unflavored additive or between a dozen tasty flavors. 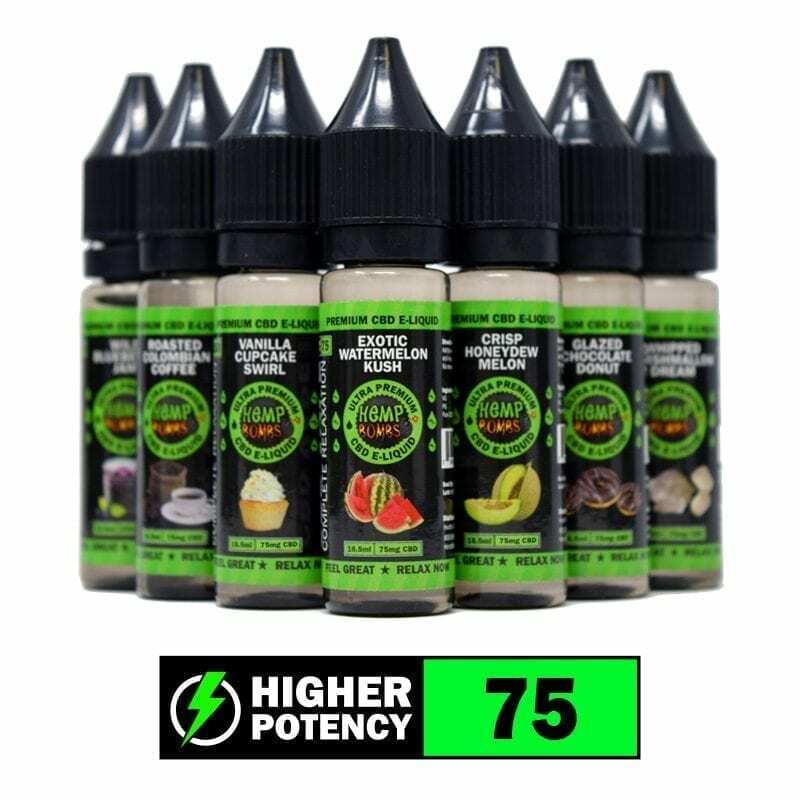 Enjoy the benefits of CBD Oil Vape Juice by ordering online right away. Orders are shipped out quickly, so customers can enjoy relief fast. We ship orders all over the United States and internationally and even throw in free shipping for orders over $75. Shop CBD Oil Vape Juice now.